A wedding is one of the events where gifts are expected to be given to the newlyweds as a sign of congratulatory remarks and also a way to help them start a new life as a wedded couple. 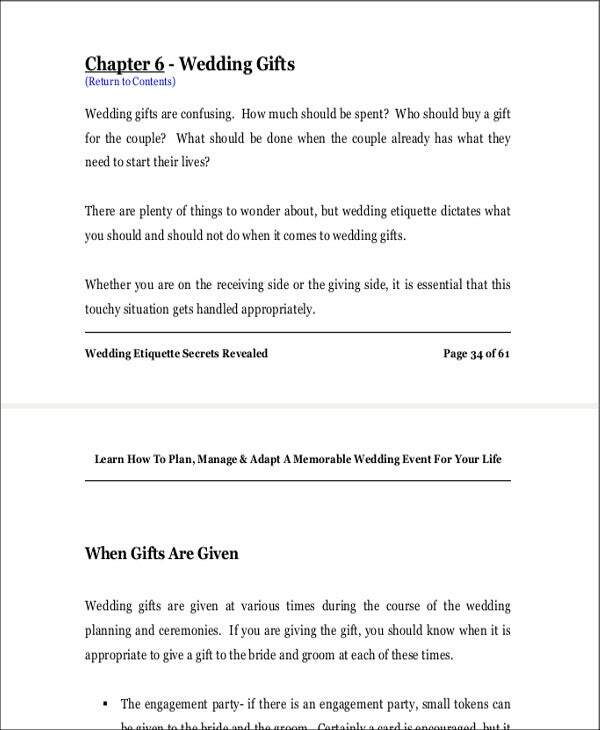 This is primarily the reason why common gifts during the wedding are appliance and other items that can be used in the household.A wedding gift list is very beneficial in tracking the gifts that have been received by the couple and the particular people who gave the specific gifts. It can also help the couple to write their thank-you cards appropriately as they know who gave the gift to whom they are writing the letter. 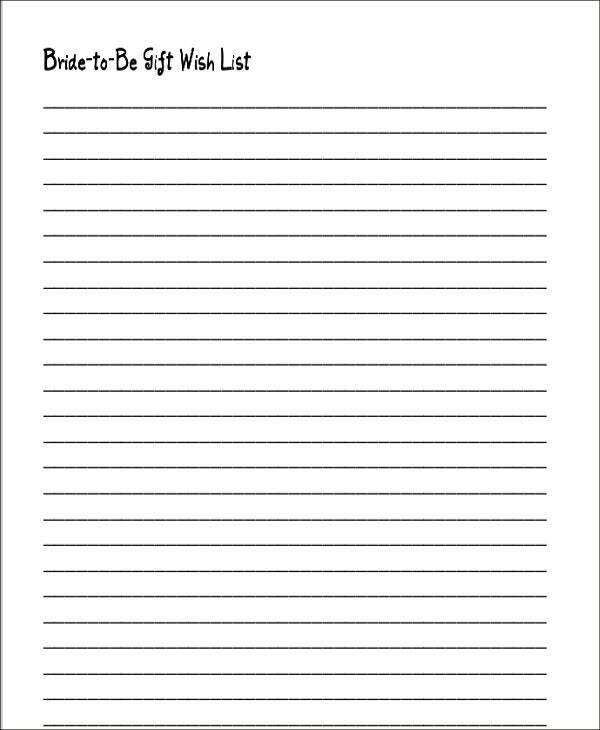 We can provide you with wedding gift list templates and other downloadable List Templates which you may use for different listing activities. 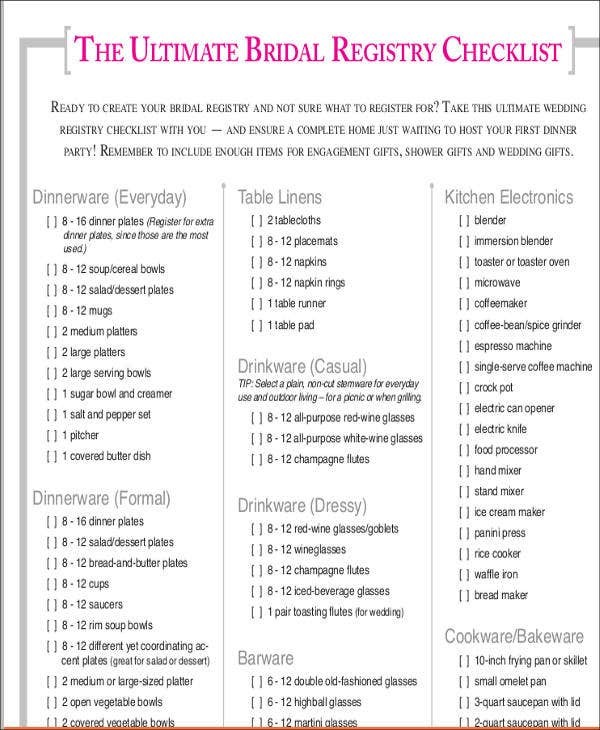 A wedding gift list can contain the collective gifts that the couple have received. It can also be a particular wedding gift list where the gift items that are intended for the bride is listed differently to the wedding gifts that are for the groom. 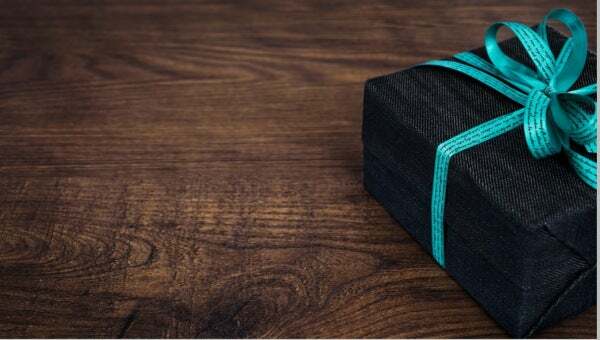 It all depends on the kinds of gifts that are being received by the couple and/or the way the organizers have prepared for the gift listing activity that will define which of the two listing formats will be used. 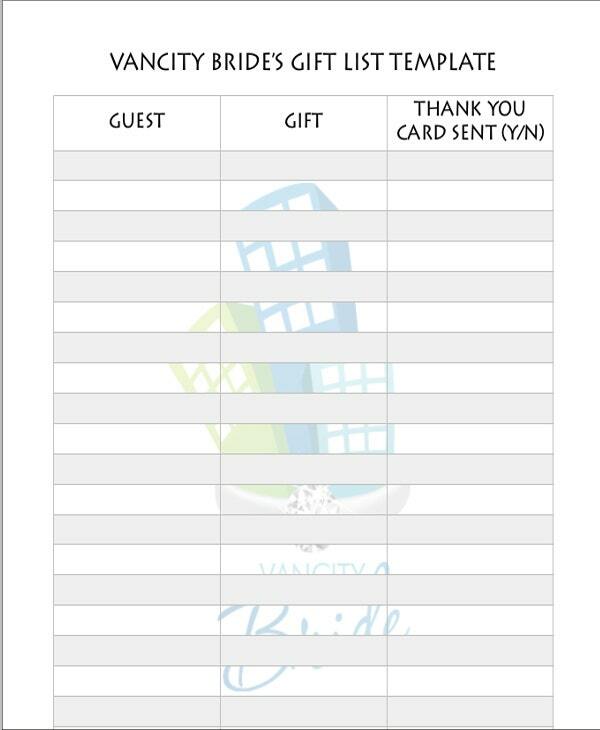 Aside from our wedding gift list templates, you may also browse through our downloadable samples of Wedding List Templates. It will help the couple to know the particular gifts that are given to them by a person. This way, the gift will already have a more personal touch especially if it symbolizes something about the relationship of the couple to the person who gave the gift. It will be easier for the couple to write thank-you cards because they already know the gift items in which they are thankful for and to whom they should be thankful for it. It can create a more organized appreciation writing process once the couple have already decided to create their wedding gift thank-you cards. 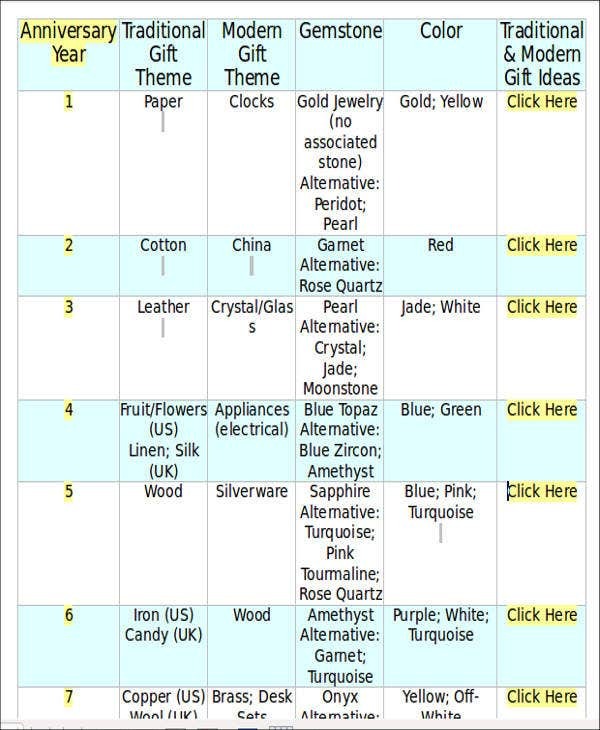 Wedding gift list can track all the gifts that the couple have received so they will know whether there are gifts that have not been given to them. 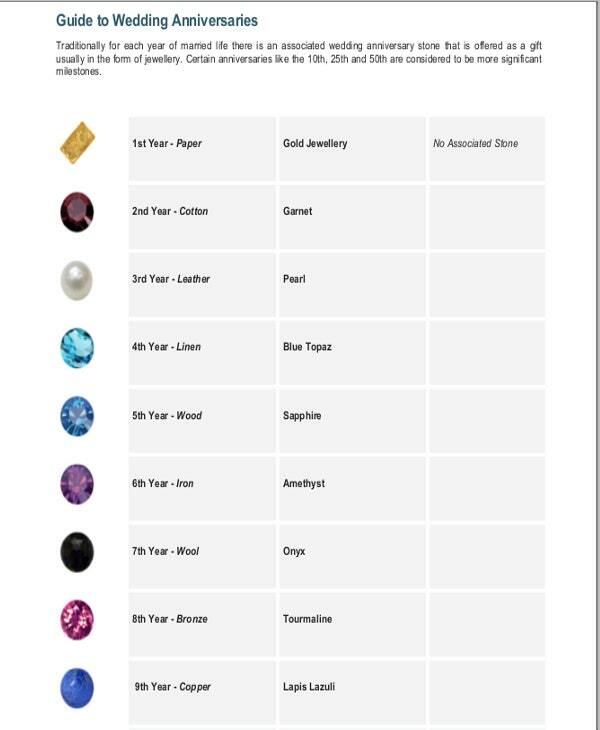 This will allow them to do measures to know why the gift is missing as it is very important to thank the person who gave the particular gift.